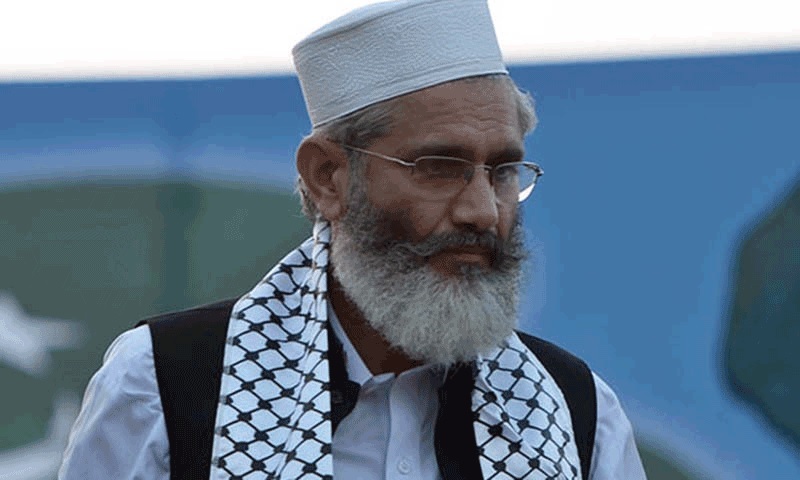 LAHORE: Jamat-e-Islami (JI) chief Sirajul Haq on Saturday lashed out on the Pakistan Tehreek-e-Insaf (PTI)-led government over its ineffective policies regarding the welfare of the general public. While addressing the media in the Mansura headquarters, the JI chief said that “the government has failed to recover the looted wealth from the corrupt politicians”. Furthermore, he said that “the government had promised construction of 5 million houses, and instead only tents could be seen”. He also criticised the PTI over the inflation and said that the 15 per cent rise in costs of medicines has hit hard among the public. “We cannot see the government working towards its promise of 10 million job opportunities for youths,” he added while outlining rise in unemployment in Pakistan. The government has become an amalgam of members from parties including Pakistan People’s Party (PPP), Muttahida Qaumi Movement (MQM) and All Pakistan Muslim League.